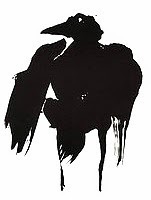 The numinous pre-dawn encounter described in my last article had given me a name, Shams, as well as a starting point for a journey into the imaginal world of the Persian Sufis. It will surprise no one who knows Rumi that my researches brought me very quickly to the Shams of his poetic vision. Rumi's Shams, Shamsuddin i-Tabriz was the "immortal beloved" of his greatest mystical flights and ecstatic poetry. Described as both a Master (Mawlana) and an "enigmatic" figure, Shams appeared in Rumi's home town of Konya in 1244 and transformed Rumi (by his own account) from a sober, pious, legalistic scholar into a spiritual poet. "My head always used to hold the Koran, but now it holds Love's flagon." Rumi's vast Diwan (collected poems) is named for Shams; its title is the Diwan-i Shams-i Tabrizi, and a third of the poems in it are explicitly dedicated to Shams. The Shams of the poems is the Guide, the Radiant Double, the Heavenly Twin, the Son of the Son, the object and subject of the Quest. He is and is not Rumi the poet. What better guide for a foray into the Imaginal Realm of the Persian mystics? Go to Mount Qaf, my Shams instructed me. "His w1ne's crashing waves fill the space from Mount Qaf to Mount Qaf." Rumi sang of his Shams. Shams-i Tabrizi has seen No-place and built from it a place. My heart thrills to these verses. Every line is a teaching. The last line speaks of the nature of reality creation from the fluid materials of imaginal space. But I don't know that my Shams is the Shams that the poet knew. The name means "sun". To learn more, I know I must be illuminated by an inner sun. The moment for that will come soon, in less than two days, in the middle of my first night on an island near the border of another country, when the world is turned inside out, and I find myself floating on a pink sky, with a blue lake above. I am a great admirer of the work of Henry Corbin, whose name has come up in recent discussions on this blog. A lifelong student of the medieval Sufi philosophers - especially Suhrawardi and Ibn 'Arabi - and of Shi'ite mysticism, Corbin brought the term mundus imaginalis, or Imaginal Realm, into currency in the West. In Arabic, the term is Alam al-Mithal and it refers to the true realm of imagination, an order of reality that is at least as real as the physical world, with cities and schools and palaces where human travelers can interact with master teachers. Corbin’s great work Creative Imagination in the Sufism of Ibn ‘Arabi is a marvelous essay in visionary spirituality that embodies his driving purpose of helping to free the religious imagination from all types of fundamentalism. I remember being seized with excitement when I first read his Avicenna and the Visionary Recital with its account of soul travel to real places beyond this world. Corbin is not an easy read; he assumes that his readers will be polymaths fluent in at least half a dozen languages, ancient and modern. But his work is indispensable. There is a fine recent biographical study by Tom Cheetham, The World Turned Inside Out: Henry Corbin and Islamic Mysticism. (Woodstock, CT: Spring Journal Books, 2003). Here we can read about the incident that generated his life’s work. His professor at the Ecole Practiques des Hautes Etudes, Louis Massignon, had returned from Teheran with a lithograph copy of the major work of Suhrawardi, Hikmat al’Ishraq When Corbin mentioned that he had seen some scattered references to Suhrawardi, Massignon immediately handed his only copy of the Arabic text to him, saying “I think there is in this book something for you.” Corbin later said, “This something was the company of the young Shaykh al-Ishraq [Teacher of Light], who has not left me my whole life.” He eventually translated Suhrawardi's master work as The Oriental Theosophy”). Corbin regarded study as a quest. At age 70, looking back on his scholarly journey, he wrote that “to be a philosopher is to take to the road, never settling down in some place of satisfaction with a theory of the world…The adventure is…a voyage which progresses towards the Light" (The Voyage and the Messenger). In approaching the Sufis, he came armed with his early study of Protestant mystics, from whom he borrowed the idea that there is a primary distinction in religion between the Revealed God and the Hidden God, and that we can only come to know the God behind God through what in us is God-like - "the presence in us of those characteristics by which we know God." Corbin spent World War II in Istanbul as the only French scholar in residence at the French Institute of Archeology. He went to Teheran at the end of the war, and spent at least part of every year in Iran for the rest of his life. His love of Persia is reflected in his description of it as “the country the color of heaven”. He died on October 7, 1978, and was spared the spectacle of seeing the land of the mystic poets in the grip of violent Islamist fanatics. Cheetham evokes the core of Corbin's presence in the world of ideas – his “simple, passionate refusal to accept the understanding of ourselves and our world that dominates modern secular consciousness”, Manifest history, for Corbin, is possible only because of a hidden order of events, a "divine history" unfolding behind the curtain of the world. "There is a historicity more original, more primordial than the history of external events, history in the ordinary sense of the term." In my attempt to write part of that history, in my Secret History of Dreaming, Corbin was one of my guiding lights. I have just discovered an excellent blog on the Legacy of Henry Corbin, maintained by Tom Cheetham; you'll find it here. The lively discussion of my take on the Queen of Swords inspires me to pluck another page from my Tarot journal. The simplest way to get to know the Tarot is to draw one card for the day and stay in its presence until you develop a sense of what it means in your life, on that day. You'll want to study what the designers of the deck you are using and other knowing practitioners have to say about it; the books of Angeles Arrien, Mary Greer and Cynthia Giles are excellent guides. But first and last, you want to be present to the card that is looking at you, using all of your senses, inspecting the imagery in fine detail, alert to the feelings and sensations that are running through you and the memories and associations the card stirs in you. You may find yourself drawn into the card, stepping through the frame, as through a door, into its own world, even entering the mindset of the figure or archetype that is depicted - as I sought to do with the Queen of Swords. What do I most need to know about in my life right now? As in my encounter with the Queen of Swords, I am using a relatively unfamiliar deck, Navigators Tarot of the Mystic Sea. The advantage of working with decks that are partly or wholly unfamiliar is that it is often easier to look at the images with fresh eyes. The card I pull is the Two of Disks, called in this deck the Two of Pentacles. Two dancers, light and dark. They move in a pattern that may be ritual combat or the prelude to mating. The light dancer – male – wears a blue stone at the third eye position at the front of a vaguely Egyptian headdress. His pectoral ornament resembles an abstract fleur-de-lys. He is tossing a shield-sized disk, gold with a red pentacle into the air, in the direction of the black, female dancer. Her attention is on her own disk. She is getting ready to toss it like a Frisbee. Two white balls hand from the back of her skull-cap. She, also, wears blue stones. They move in a dark desert landscape. The mound rising in the distance looks like Uluru (or Ayers Rock) in my native Australia. In a greener setting, it could be a mound grave. In the sky above are six stars. The grouping on the left forms the letter A. With the pair to the right, they shine out the message A. It is thrilling to be here, playing this eternal game of the Twins. I am being invited into an ancient story, a story that may have been seeking me. The story begins like this: Uluru remembers our game, which began among the stars. We are there, the twin stars to the right of the Alpha constellation. Without duality, there is no world, only potential worlds. You can type us as Light and Dark, male and female, but our attributions are not fixed. We may also be Order and Chaos, Good and Evil, Self and Other, Enemies and Lovers. In the suit of Earth, we are the beginnings of manifestation on Earth. You have other centuries to play with...In the dream state you meet and interact with your own reincarnational selves...I prefer that you think of them as simultaneous selves. In the dreaming condition there is a great interchange of information with these other portions of your selves. The speaker is the entity named Seth, as channeled by the remarkable medium and author Jane Roberts in The Nature of Personal Reality. I first read this important book nearly quarter of a century ago. I came to it reluctantly, because I find I often have resistance to channeled material. Maybe that's related to the fact that my great-aunt was a gifted psychic medium, as well as an opera singer, who foresaw my death when I was three years old. She was right; the following winter, I developed pneumonia and "died and came back" - as a physician put it - in a hospital in Tasmania. What spurred me to read Jane Roberts was the arrival of a lively woman from Venezuela at the farm where I was then living. I had met her on a boat on the Amazon river, drinking caipirinhas, which were then unknown in the United States. Before she crossed my threshold, Romelia said urgently, "You must read Jane Roberts." It was excellent advice. In the Seth books and in her novels - the Oversoul Seven trilogy - Jane Roberts and her source intelligence provide one of the clearest models of the multidimensional self, and of the role of dreaming in awakening to our connections with personalities in other times and dimensions. As in the passage quoted above, Seth invites us to go beyond simplistic, linear approaches to reincarnation. When we step outside chronos time (as we do constantly in dreams) we find that everything is going on now. If I am connected to the druid in Scotland circa 600, or that young priestess-scientist of 2300, then choices I make now can affect them in their own times, as choices they make can affect me, sending influences both ways through the skeins of the web that connects us. In the Oversoul Seven stories, Jane Roberts dramatizes how all of this may operate, with a lively depiction of a supervising intelligence ("oversoul") that is watching over personalities whose life dramas are unfolding in very different places and times, from the Stone Age to the present. The oversoul is very far from infallible. It is on probation, being supervised by an intelligence on a higher level. It can lose its perspective when it is drawn too deep into the adventures of one of its family of personalities, and even forget that its responsibilities go beyond one life situation. To know more about such things, Jane Roberts and Seth remind us over and over, we must tune into our dreams, and never forget the correct time, which is always Now. "Realize that now is your point of power." The portrait of Seth was painted by Rob Butts, Jane Roberts' husband. In one of their sessions, Seth declared that the likeness was "excellent". Before I had access to this picture, I dreamed of a Seth who looked very much like this, and appeared to be a publican in a Northern European fishing port. Sometimes we can't miss the play of the Greater Trumps that Jung called archetypes but for many centuries before him have been depicted on 22 cards in a deck of 78, and have a way of spilling out of the deck and into the world. I sit in the library room in the dark for ten minutes to center myself and get clarity. I find myself looking at the scene outside the house from behind closed eyelids. It is all quite simple and realistic: the drive, the parked cars, the barns, the snow on the slope leading up to the road, under the night sky. Then I see a male figure coming long the drive. He looks rather like a tramp. This would not be surprising; all sorts of people wander through the wilderness preserve around this restored colonial manse and may camp out there in all seasons. But when I look at the walker more closely, I see that he is dressed in soft deerskins. On his feet are long, soft-soled moccasin boots. His hat is shaped a little like a fawn-colored “Robin Hood” hat. He has a tobacco pouch, and a larger leather bag slung from a pole over his shoulder. I realize I am looking at the Tarot Fool, turned woodsman. The more closely I examine him, the larger and less foolish he seems. I know there is treasure in his bag. It seems to contain gold figures, perhaps the living patterns of the world. I notice that a huge moving truck has come up the drive behind the Fool. The first thing they unload is a complicated machine protected by a glass hood with a gold lion couchant on top. The machine is gleaming silver, antique but impeccably clean and in perfect working order. I recognize it. I have seen a similar machine on a table in the House on the Canal in a big dream of long before. That machine was signed by “Israel Regardie”, who made public some of the papers of the Hermetic Order of the Golden Dawn. I understand that, now as before, I am looking at something constructed by the magicians of this great esoteric order. I test its workings. For divination, what is required is to feed in a “ticket” at one end of the machine. The question is then processed by being shot and bounced back and forth through many Rube Goldberg-like procedures. When the “ticket” is at last spat out through a slot at the other end, one side contains a closely printed message that includes Hebrew letters, astrological signs, tags from ancient languages, and Masonic codes. However, the real answer is not to be found in the printed message. The true answer is to be sought on the “blank” reverse side. When the card is turned over, the “blank” side becomes a mirror that shows the images projected onto it by godlike beings who have now been drawn in close, possibly because they are entertained by the game with the machine. The archetypes behind the Tarot trumps are now moving in the field. A beautifully carved box of pale wood, with silk lining, is brought from the truck. Inside is a cream-colored quilt or rug with “ribs” of old gold. The designs are distinctly Persian. Here a cycle of moving energies recalling the Tarot – but with many different images – is depicted in a sequence of rectangular panels. I look inside the truck. There are stage sets inside. I recognize some of the Trumps moving back and forth. I had a brief interview with a Green Empress who reminds me that the Cave of Earth, a destination for shamanic journeying to which I am planning to lead people this weekend, is her domain. I see a medieval Death, who looks like a rotting corpse under his black hooded robe. Mastering my fear and disgust,I embrace him. As soon as I do this, he turns into a young and radiant being. This looks good – until I realize that in this moment, I have become the rotting corpse. Fear returns, but I will myself to take my distance and look again. Now I have become young and radiant. My Death now looks on me with kindly and shining eyes. Perhaps they are my own. I remember how Octavio Paz sang that when he encountered Death, he wanted Death to be wearing his own face. I become aware of a great stir of movement around me. I see that the four great families of the Tarot suits are gathering. The Disk people are distinctly indigenous, Native American and African. The Swords are men in armor from the European past, swinging and clanging metal – Grail knights, Teutonic knights, Highlanders with great killing irons, Romans and Vikings. The people of the cups are Mer-people. The Wands are a tribe of great cats, some in red liveries like the hunting cheetahs of the Nizam of Hyderabad I brought home from a model soldier shop. Comment: This was a spontaneous vision at the end of an evening session at Great Hollow, a wonderful retreat center in a wilderness preserve near New Fairfield, Connecticut, where I am teaching a one-day playshop on "Writing as a State of Conscious Dreaming" in July. We turned the vision into dream theater the next day, with a company of twenty-two players (a good number for Tarot) from my workshop. The players who impersonated the Rube Goldberg/Israel Regardie Expresso Machine were hilarious. At the time I was also leading a series of classes titled Tarot for Dreamers, in which one of our assignments was to produce our personal Tarot cards. My treatment of the numbers cards was influenced by my Tarot vision. from a dawn vision during a weekend of Active Dreaming and mythic drama on Gore Mountain. men in the wild would envy his fine warm pelt. because the Bear is ready to give himself again. He passes without pain, without blood. every organ, wasting nothing, sharing with those in need. We unwrap the Great One as a medicine bundle. sorted for use. The gall bladder is prized above all. It will go to one who has earned it. the same Honey-mouth, in a new body. Bear always comes back, in a new pelt. padding softly down hospital halls. The Master of Medicine gives himself over and over. This is the most natural thing in the world. and we forget what he is. The bear who seems ready to for lunch was photographed on the grounds of Johnson Hall, the last home of Sir William Johnson in upstate New York. Image courtesy of Wanda Burch. “Master, I come to you because I wish to see." I felt burning pain as something pierced me at the third eye, like a drill bit. Immediately the girl was at my side, soothing my forehead with an ointment that smelled like yogurt. I strike fast, but before I strike I probe for the best way through the air currents, sending down feeders you cannot see. I am drawn to oak trees, and to humans who have the quality of oak, hanging on to their foliage when other trees have shed theirs, standing tall, deep-rooted in earth, but always reaching for the sky. I fall in love, as humans and spirits do. The humans I love best will be stroked by my fire and can read my movements in energy fields. They will be challenged, as others are, to ground my power safely, because I sometimes forget that these soft animals are weak vessels that need to conduct my force instead of holding it to themselves. Symbols come alive for us through coincidence, which they help to generate. A symbol, in the original meaning of the Greek (symbolon) is that which is "thrown together" or "cast together". This is very close to the root meaning of "coincidence", which refers to things that "fall together". In a previous essay, I floated the term symbol magnets in an effort to describe the connecting and manifesting power that is involved here. It is a two- way process. When our minds are charged with a living symbol, we sometimes seem to attract related events. And because a true symbol has autonomous power, in the realm of the collective psyche, a symbol may burst into our ordinary reality. Earlier peoples spoke of these things in a simpler language, as the interplay between humans and gods, spirits and elemental powers of nature. I confess to having sympathy for the older way of understanding, as did Jung, who invented the terms "archetype" and "psychoid" and "collective unconscious" in an effort to define these phenomena in a vocabulary acceptable to the modern scientific mind, yet loved to quote the old Latin tag omnia plena diis esse ("all things are full of gods"). I was called to work with a Danish man who had been physically crippled by a complex of diseases he developed after severe mercury poisoning. The collapse of his health contributed to the collapse of his marriage. Cynical, misogynist, reclusive - and fixedly atheist, denying the existence of the soul - he eventually sought to end his pain with a bottle of sleeping pills. He needed a soul guide, and I made it my intention to call in a guide that he could perceive and trust and believe in. Instantly Odin appeared, in a wide-brimmed hat and a flying garment, with his ravens flapping about him, swinging a staff. The figure of Odin was vividly real and unconsidered. His back was turned to me, because all his attention was on the suicide. The Dane had no hesitation in accepting Odin as his guide. Odin took him, not to any of the realms of the Aesir, but deep into the body of a primal goddess, under the waves. I was deeply moved to see this man's healing and rehab begin, in the deeps of the Divine Feminine, through a gate opened by one-eyed Odin. Interesting - on the mythic plane - that his problems flowed from a toxic relationship with Mercury. The Romans identified Odin with Mercury. "Above all gods they worship Mercury, and count it no sin to win his favor on certain days by human sacrifice,” wrote Tacitus. It seemed the man who had suffered from mercury poisoning had healed his relationship with Mercury. A week later, I met an editor for dinner at a seafood restaurant. During the meal he stabbed a lemon slice with a fork to season his fish - and shot a jet of lemon juice into my left eye, temporarily blinding me. He did not notice what happened. I said, dabbing my eye with a napkin, "I wonder what it means when a supposedly friendly editor blinds you in the left eye?" After a quick apology, he shot back without losing a beat, "It's the price Odin paid to Mimir for his wisdom". I was impressed that his mind had gone straight to the myth of how Odin gave up an eye in order to drink from the well of prophecy and remembrance. After a mouthful of fish, the editor told me that some larger force must definitely have been at work with the lemon squirt, since he was trained to manage such things in a way that few of us are. “I know how to use a fork. I was trained as a sous-chef in Paris to get this kind of thing exactly right. I could not have shot you in the eye unless some powerful force was orchestrating this, a force such as Odin." A week after the Odin squirt, I was on a plane bound to Minneapolis on the first leg of a trans-continental journey. The flight attendant seemed to have stepped out of the Otherworld. She was milk-white with reddish hair and moved like a fleet little woodland animal. I decided she might be an arctic fox - or the altered astral form of a fox, a fox's attempt to project a human double. When she served drinks I noticed that her left eye was brown while her right eye was blue. I told her she had magical eyes and looked like she had just come from Faeryland. It's said that if your eyes are of different colors it can mean that they see into different worlds. This is a milder version of the Odin motif, where the seer loses one of his physical eyes - part of his ordinary vision - as the price of vision into the deeper world. I was wondering whether to post this sequence here, and played with writing a draft to see how it would come out. When I went to press the "Save Now" button, I hit "Publish Post" by mistake. I corrected this within a few minutes. Not fast enough, however, to avoid being spotted in a way that suggests the movement of forces beyond the obvious - of Greater Trumps in play. When I next opened my email (still undecided about posting this essay) I found this message from my artist friend Steve Niner, in England: "Did you post a piece that involved Odin on your blog this morning or did I dream it? What ever way it was just what I needed." I responded that it amazed me that he managed to catch a draft version of this piece during the three or four minutes it was visible. Steve replied: "Shivery stuff, I have just started working with the runes. I stuck my hand in my rune bag and pulled out Ansuz which is Odin's rune I read the interpretation in the book I am working with ,it was highly pertinent. I then went to my computer looked at the blog reader and there is your Odin post. Had time to read that bit before my daughter kicked me off it to play. Did a drum journey later looking for a teacher to teach me magic guess who shows up. I am reading Dreamgates at the moment." There's the Odin-Mercury connection again. Ansuz is also called the Messenger Rune, associated with all forms of communication. I took the train to Manhattan on Tuesday to give a lecture on Jung, Pauli and the development of synchronicity theory for the C.G. Jung Foundation for Analytical Psychology. I allowed for a 2-hour delay on the ride. I arrived at Penn Station precisely 2 hours late, and not on the train I had booked with a 2:00 PM departure time. The 3:00 PM train was opening its doors as the delayed 2:00 PM train shunted in from a long journey from Toronto and - after wavering between the two - I decided to go with the "later" train. We were then stopped for an hour after hitting an ATV [all-terrain vehicle] on the tracks; the kid who had been fooling around on the ATV was - remarkably - unhurt. At Penn Station, I calculated I had just enough time to walk through the evening rush hour to the brownstone on East 39th Street that houses the C.G. Jung Center. When I first came here, many years ago, I had to wait at reception while the fellow manning the booth dealt with a telephone call. I heard him say to the caller, "I'm afraid it won't be possible to book a private session with Professor Jung. Doctor Jung died in 1961." Tickled, I asked, "Does Jung get a lot of calls like that?" "At least three or four a week." Reflecting on how Jung used to talk to the dead, I said, "Maybe, given who Jung is, you could manage to arrange some appointments. Of course, this would require a very long-distance call." With a few minutes to spare before the start of my lecture, I headed for the bookshop at the Jung Center. A dapper, older gentleman came up and introduced himself. "I am Sotiris Kitsopoulos, and I challenge you to say that back to me." I made what I thought was a fair attempt, and was struck by the first name. "Sotiris?" I repeated. My Greek is limited, but I recognized the derivation of the name. "Doesn't that mean Savior?" "It's a very Jungian archetypal moment," I observed. "The name of the first person who introduces himself to me tonight is Savior." "Did you know Pauli?" Dr Kitsopoulos asked. "I was eleven when Pauli died." "Ah yes, you are younger. I took a class in theoretical physics with Pauli in Zurich. I have some personal reminiscences. Would you like to hear them?" Of course. We sat together on a sofa in front of the collected works of Jung and my new acquaintance regaled me with accounts of the performance of Wolfgang Pauli - the brilliant pioneer of quantum physics who won the Nobel Prize and helped Jung develop his synchronicity theory - as a teacher. Pauli must rank high in the pantheon of those regarded by their students as crazy professors. In front of a class, he would be seized by a violent nervous tic that had him heaving his torso back and forth. He would chalk great arcs of numbers and equations on a blackboard, but as the sequence continued the figures would become vanishingly small so that no one could make out where the process led. He would pause in mid-sentence and stare up at the ceiling for what seemed like an aching eternity. With his vivid recollections, Sotiris walked me around Zurich with his crazy professor and his fellow-students. Through his eyes, I watched Pauli eating lunch most days at his favorite restaurant, the Sunnehus. Dr Kitsopoulos recalled the day when he saw Pauli crossing a street, heaving his torso back and forth, apparently oblivious to a tram that was rattling towards him. "He didn't see the tram. We held our breath. He just escaped being hit, never changing his pace. Then we saw a second tram rushing from the opposite direction. Caught between them, Paul vanished from view. We really thought we had lost him, but when the trams had passed, there was Pauli, quite unaware. His pace must have been just right." I caught a little rhyme in the day. At Albany-Rensselaer station, four hours earlier, I had hovered between two trains, needing to decide which to take. I was also tickled by the way synchronicity comes in to play when I speak in public about Pauli. Last year I spoke on a public radio show in San Francisco about how I solved the mystery of the "Chinese Woman" in Pauli's dreams, and as soon as the show was over I found an email from a listener who had known the "Chinese Woman" (the experimental physicist Dr Chien Shiung Wu); you can read the full report here. My conversation with Pauli's student - a man who went on to make a distinguished scientific career - was interrupted by my hosts. Time to get started. The auditorium was full. I was cautious when I took my place at the podium, because I recalled the Pauli Effect. Wolfgang Pauli was notorious for his alleged ability to make mechanical things go haywire, on a fantastic scale, by his mere presence; you can read about this in "The Man Who Blew Things Up, my chapter on Pauli in The Secret History of Dreaming. The air conditioning wasn't working, they explained. So a fan had been set up in the corner, perfectly positioned to blow any notes I placed on the lectern all over the room. I reverted to my default mode, of speaking without notes. I ran out of time before I came to the last recorded exchanges between Jung and Pauli, which had been much on my mind since I reviewed the extraordinary 26-year correspondence between these two intellectual giants whose minds worked together on the quest to understand the interweaving of mind and matter, psyche and physis, in the larger reality. In his last letter to Jung (August 5, 1957), less than a year before his sudden death from pancreatic cancer, Pauli reported that in dreams, he was spending a lot of time in the constellation of Perseus, in the vicinity of the "demon star", Algol, a variable star that blinks off and on, from an earthly observer's perspective. In his response, Jung spoke to Pauli with deep respect and gratitude, and edged towards a perspective on synchronicity that - contrary to his previous insistence on the "acausal" nature of this phenomenon - allowed for the possibility of "an independent causal chain of events" hidden from the comprehension of contemporary science. As I rode the night train home, I remembered that Jung once remarked that he was not a Jungian. If he were still with us, I am confident he would be surprising us with new models and definitions of synchronicity, and much else. To check on that would require a long-distance call. At the end of a marvelous weekend of dream theater and group journeying in Portland, I caught a redeye flight back to the East Coast. The airline bumped me up to first class, which would have been more of a bonus had I not had the bulkhead in front of me, crowding my legs without allowing the possibility of sliding my feet under a seat in front. My rowmate was a well-traveled older guy who confided - after a few glasses of wine - that he had just fulfilled one of his big life dreams by flying a little Piper Cherokee across the continent, following the route of the explorers Lewis and Clark. He waxed poetic as he described the joy of viewing the changing landscapes from just 6,000 feet up. Where was his plane now? "I'm not crazy. I gave the keys to a friend to fly it home to Florida for me." He was a pilot in Vietnam, he confided. When we shared memories of that wretched, doomed war (I visited Vietnam as a reporter) we found we had known some of the same people. Now he had tracked Lewis and Clark from the air, what were his remaining ambitions? "To go round Tierra del Fuego, following the route of Magellan," he said without hesitation. Then, after a pause, "And to make my peace with God." He revealed that he had been raised in Alabama by fundamentalist parents and has been in recovery ever since. I asked if he remembered his dreams. He seemed startled. To encourage him, I quoted Jung's statement, written near the end of his life, that "It is an age-old fact that God speaks, chiefly, in dreams and visions." "Jeez," my rowmate reached for his glass. "I hope it's not God that's speaking in my dreams. I'm scared of my dreams." I didn't press the theme. There are many men in this world who are bold adventurers on land and air and sea, but shy away from the fields of dreams. The talk released a boyhood memory from my companion. "When I reached my teens,my grandfather gave me a spirit level and told me the secret of life. Keep the bubble in the middle. A few years ago I found a place in England that makes these neat little teak wood spirit levels. I give them to friends with a plaque that says Keep the bubble in the middle." Good advice. I wonder what counsel this wise grandfather will have to offer now, if the grandson is ever ready to listen his dreams. Dreaming is not fundamentally about sleep, though I greatly value the sleep dreams that come spontaneously and offer us an objective view of ourselves and our place in the worlds. 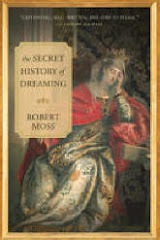 Dreaming is essentially about waking up to a larger reality and a secret logic of events that are often hidden from the everyday conscious mind. So it seems fitting that my Active Dreaming workshop in Portland this weekend is unfolding in a lovely center called Awakenings. The sun smiled on us all Saturday, which is already a dreamlike event in this rainy city. "I want to learn how to bring the energy of my dreams into 3D reality." "I want to make closer links between my dreaming and my writing." "I'm here to deepen my practice of dreaming." "I want to use dreaming to integrate my inner child into my adult world." "I'm here to acquire tools to re-vision education for children, to help them and their families bring back soul and to make them safe with their dreams." "I'm here to move beyond getting weireded out when my dreams turn into real events in waking life." "I'm here to find new direction for my painting, and my life." These generous statements of intention gave us a vivid sense of expanding horisons of possibility. I demonstrated our quick, high-energy dream sharing process - Lightning Dreamwork - with three volunteers who undertook the assignment to tell us a dream as a story, and to hold the attention of the audience. One of the gifts of dream sharing is that, when we do it right, we find our voice and develop our skills as storytellers. An even greater gift, especially for newcomers, is that when we are heard with deep attention and given the right kind of feedback, we receive vital validation of our inner lives and our soul quests. Stephani told us a dream of being back in her former home, trying to sort out old clothersm when a pirate ship appeared on a body of water at her door that doesn't exist in the regular world. Jaya's dream took us into deep ancestral territory. She found herself riding in the back of a van by a river. She witnessed a mysterious ritual in which seven people clad in wolfskins performed a sacred dance around the bodies of dead wolves. As they danced, light rose from them, forming a cone shape that then opened out and produced the head of a wolf among the stars. The dreamer urgently wanted to stop the van and see more, but was unable to influence the driver. She woke with a profound sense of longing. She leaped at the suggestion that she might be able to reenter the dream, with the help of shamanic drumming, and get out of the van and ask the wolf people for permission to learn the nature of their ritual and of their connection with the Wolf Star. In a dream of equal mythic power, a man stepped into a river carrying a sword. In the water, his sword became a chalice. On the far side of the river, he saw a family of bears. He became alarmed when they stared at him fiercely, and he turned away though he felt the object of his quest lay beyond the bears. "I feel the bears are gatekeepers, and that I need to face them and go beyond them." He welcomed the idea that he too, could reenter his dream, wide awake and conscious, and confront the bears and seek to discover what lay beyond them. So here we had two excellent plans for dream reentry and group dreaming - for an exercise in what could be termed shamanic lucid dreaming. The wolf dreamer and the bear dreamer gave permission for the whole group to travel with them, back into their dreams and to explore beyond the remembered scenes and carry the action forward. In two group journeys powered by shamanic drumming, we shared extraordinarily powerful and moving adventures. As a lunchbreak assignment, I asked everyone to be alert for anything striking or unusual that entered their field of perception as they roamed the town - to be open to receiving symbolic popups from the world. Waiting for coffee on my way back from lunch, I noticed Stephani, who had dreamed of pirates, standing in front of a corner bar, a block away from our workshop site, talking on her cell phone. The sign above her head, apparently unnoticed until now, read "The Jolly Roger". Life rhymes, and there are dresms that want to come into the surface world, some singing pirate songs. 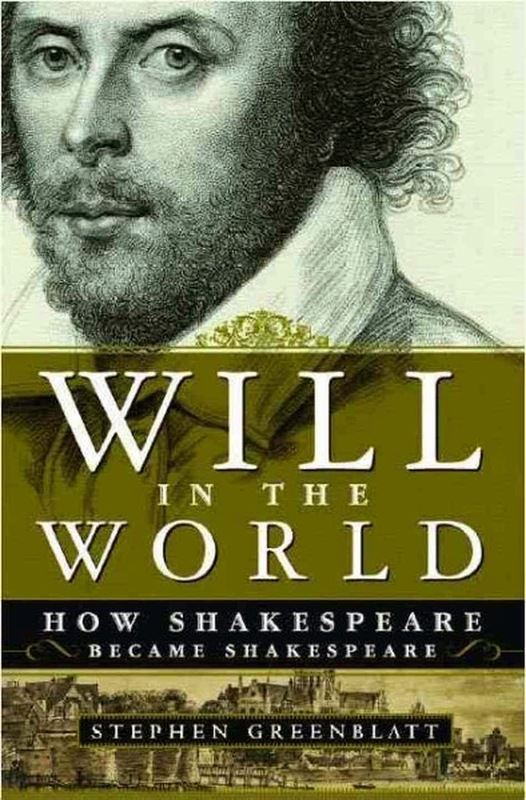 I boarded the plane bound from Minneapolis to Portland with my in-flight reading in hand: Stephen Greenblatt's Will in the World, an excellent study of how Shakespeare rose from obscure origins to become the greatest writer in the English language. When I found my aisle seat, the fellow by the window asked how I was enjoying the book. Quite soon he was telling me how he was in Statford last year when the news broke that a hitherto unknown portrait of Shakespeare had been identified in an Irish country house and was then on its way to the bard's birthplace. I am a keen student of how people define themselves, and I told Marshall that this was one of the best three word self-definitions I had come across. Asked to define my own work, I spoke about how I help people to use dreams as a source of guidance and imagery for self-healing, and as the royal road to identifying our essential stories, the ones we want to remember and enact. He wanted to know more about the application of dreamwork to healing. I told him a little of the story of my friend Wanda Burch, a twenty year survivor of breast cancer who gives her own account of her use of Active Dreaming techniques in her brave and beautiful book She Who Dreams. Marshall took note of the title, explaining that he was on his way to Portland to support a family member who was recovering from cancer. Our conversation was interrupted by the arrival of a young man who took the seat between us. More introductions ensued. The young man told us he recently graduated from St Olof's with a degree in music. He is a vocalist who sang with the St Olof's choir all over the British Isles, and in many other places. I asked him whether it is true that composers tend to look down on librettists to the extent suggested in Robertson Davies' novel The Lyre of Orpheus, which I had finished the night before. He was unfamiliar with the novel, so I explained the plot, which turns on the creative pains and misadventures of an unlikely crew who set about trying to make an opera out of sketches by Hoffmann, with an entirely new libretto, while the long-dead composer watches from the limbo of composers who are waiting for someone to complete their unfinished work. "E.T.A. Hoffmann?" the new graduate echoed. "We studied him in my last semester." He gave me a rundown on Hoffmann's musical oeuvre, and asked about Hoffmann's second career as the author of dark fantasy stories, which were based in no small degree on his dreams and nightmares and sightings of apparitions, including several versions of the double or doppelganger. He spoke of a piece his choir had sung in his last concert, with lyrics from Goethe. His face fell when he added that the brilliant young composer was struggling with cancer. He had heard the tale end of my account of Wanda's use of dream imagery in helping to heal cancer, and asked me to repeat the details of her book. I think we were accompanied on that flight by angels who were both literate and caring. I also discover sections devoted to my dreams of individual people. I have only to focus on a name or title, and the movie begins to play all around me, so I can enter it at will. There is no need here for a DVD player. You simply select a movie, and it starts playing. I see an unremembered dream of a woman who had disappeared completely from my remembered dreams. In the dream movie she tells me, “I want to give you a life of exquisite beauty.” She changes from a sarong to the flowing evening gown of an older woman; its gauzy fabric floats about her. I am excited by the prospect of exploring dream adventures I may have shared with other people, and may not have remembered. I focus on three women who are central to my life. In each case, I ask to view the dream movie that presents our initial encounter (whenever and wherever that may have been). I find that there is an immense archive of shared dreams involving each of these people. One is as large as a great gothic cathedral, with shelves rising to the high roof many stories above. I watch several dream movies in each location. They take me deeply and vividly into scenes of other lives and other times - of leopard people in Africa, of Celtic voyagers in a coracle on a cold northern sea, of a turning castle in a high desert landscape where everything is the color of sand except for the pretty star-shaped flowers, blue and purple, on a terrace. The dream movies reveal a hidden order of connection in all these relationships, transcending our present lives. I decide to make a quick scan of materials available for the history of dreaming. A new movie starts playing. It involves an ancient battle in China. In the time of the Tang dynasty, guided by a dream, a general deploys his troops in a mountain pass to crush an enemy. I will watch no more dream movies on this visit, because my female guide in the sky-blue uniform is telling me it's time to get up and write things down. Time to re-member the forgotten dreams. Australian Aborigines say that the Big stories are hunting the right people to tell them, like predators stalking in the bush. The trick is to put ourselves in a place where the Big stories can find us. All of us are living a story. If we don't know what it is, it is likely to be a little story, a limiting one, woven from past disappointments and stitched tight by the people who are forever telling us who we are and what we can and cannot accomplish. If we fail to define ourselves, we let ourselves be defined by others. As the philosopher Alasdair MacIntyre observes in After Virtue, "We are story-telling animals who must ask ourselves, "of what story or stories do I find myself a part?' in order to answer the question, 'what am I to do?'" When we are seized by the Big story, we step beyond limiting definitions and beliefs. Great healing becomes available because we can now draw on the immense energy that becomes available when we know we are serving a larger purpose. We gain courage and stamina to get through the ups and downs of everyday life, aware that we are acting in a deeper drama. This summer, I'll lead a weekend workshop devoted to "The Healing Power of Story" in a marvelous octagon building in the midst of blueberry fields in Ashton, Maryland. We'll explore and perform some of the Big stories from myth and literature that can heal and empower: the Japanese story of the sun goddess who hid her light because she was abused, and how she was coaxed back; the Gnostic story of the forgetful envoy who was sent into this world on a vital mission but forgot what it was; Dante's story of how we approach our truest life teacher by knocking on the heart. From dreams and shared journeys, spontaneous theater and entertainments, we'll harvest personal stories, charged with energy and meaning, in order to become the authors of our own life scripts. The image is of the torchlit path to the meeting yurt at one of my favorite retreat centers, Mosswood Hollow in Duvall WA (think Wind in the Willows in the midst of the evergreen forests of the Pacific Northwest). I am leading my Dream Teacher Training here in July and a weekend of Imaginal Healing in October. "The truth may be a walk around a lake," wrote Wallace Stevens. When I need to get rid of the clutter of negative thoughts and everyday worries, there are few things better than a good long walk around a lake in the woods near my home in upstate New York. As I get back in sync with the rhythms of the natural world, I both lose myself - that is to say, my little self - and return to my deeper self. There are several phases to a walking meditation. As in sitting meditation, I start by paying attention to my breathing. I try not to interfere with its flow, though the most immediate effect of this refocusing of awareness is to produce longer, more regular inhalations and exhalations. My breathing changes as I set off at a faster clip across open ground. After a time, I find I am following my breath without trying to regulate its autonomic flow. When I reach the awareness that my breath is breathing me, I have already released many of the burdens I brought with me. Now I extend my awareness into my body's movements over the rough ground. The play of light across leaves and lake water is beguiling, but it is still outside myself. I am not yet at one with it, My efforts to find stillness in gentle motion are threatened by the return of troubles and calculations that were with me before I came here. They gesture and snicker, pressing for my attention. Separated from the natural forest by my jungle of thoughts, I focus on one thought. It rises spontaneously: I will follow the flow of light, within me and around me. I give thanks for the morning. I give thanks for the day. I give thanks for the gifts and the challenges of this lifetime. I will follow the Light. I am humming, then toning, letting the vowel sounds soar to higher and higher pitch. A song bubbles up in me, and I smile when it bursts free. I sing aloud all the way to the beaver lodge at the eastern edge of the lake, and for another mile more to the abandoned jetty on the far side. The effect of my off-key warbling is to open a space at the center of my consciousness. At its distant periphery, I can observe old images of fear and worry and confusion, looming up then falling away like blown leaves as I choose to deny them the energy of my attention and belief. As my inner space continues to expand and deepen, I feel again, blessedly, in contact with that still small voice you know you need never question. I celebrate and join in the sparkling beauty of the natural world around me. I breathe with the swaying branches of the evergreens. I shrug off my clothes and splash and swim in the lake. I am at one with everything around me. I could stay here all day, but words come flocking and I must go home and write.